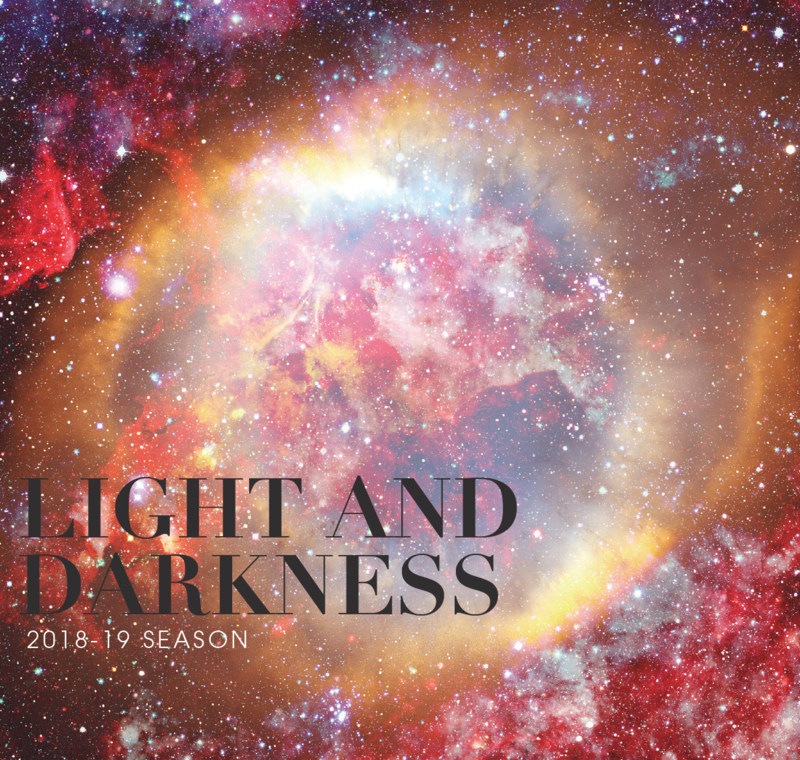 Announcing the Vancouver Cantata Singers 2018-19 Season: Light and Darkness! Darkness and light surround us in so many ways – environmentally, worldly, spiritually, and metaphorically. The four concerts of our 2018-19 season all reflect this juxtaposition in their own way. Threnody: Requiem and Remembrance embraces music as a lament and consolation; the Requiem text being repose for souls of the dead in asking for perpetual light. Our annual Christmas Reprise celebrates the light of the season as the darkest days of winter solstice are near and the end draws to a close of the calendar year. Musica Universalis: Music of the Spheres explores the idea that there is music of the celestial moving spheres, of orbits in space, of all that is light and dark in the sky. And our last concert, Scandinavian Treasures: Songs of the North, takes us to lands where over the course of a year, the longest hours of darkness evolve into the longest days of light. On behalf of the Vancouver Cantata Singers, I invite you to join us in our journey through darkness and light, discovering repertoire that both ignites our intellect and calms our being. I am delighted to announce that our 61st season will also include a performance of Handel’s Coronation Anthems presented by our friends at Early Music Vancouver and a premiere of a new work by our composer in residence, Craig Galbraith. The Vancouver Cantata Singers are excited to share and experience another season of music with you and we look forward to welcoming you to our concerts.